I’m a firm believer in the idea that seeing a movie once is hardly ever enough. While it’s usually easy to declare a movie to be good or bad upon first viewing, it isn’t until after repeat viewings that the nuances of a film begin to manifest. There are a ton of great films out there – too many, really – and as my tastes broaden I find it difficult to make time to properly view all of them. Even so, there are a few films that I find myself revisiting on at least a yearly basis. While this list is by no means comprehensive, here are 5 films that I go back to again and again. First and foremost, this movie is a blast. The marriage of practical makeup (melting man!) and superimposed claymation all topped with a generous helping of squibs results in a sleek gruesomeness which has become a trademark for Verhoeven. The social commentary would seem hokey in the hands of a lesser storyteller, but as hammy as it is, Verhoeven makes it work. 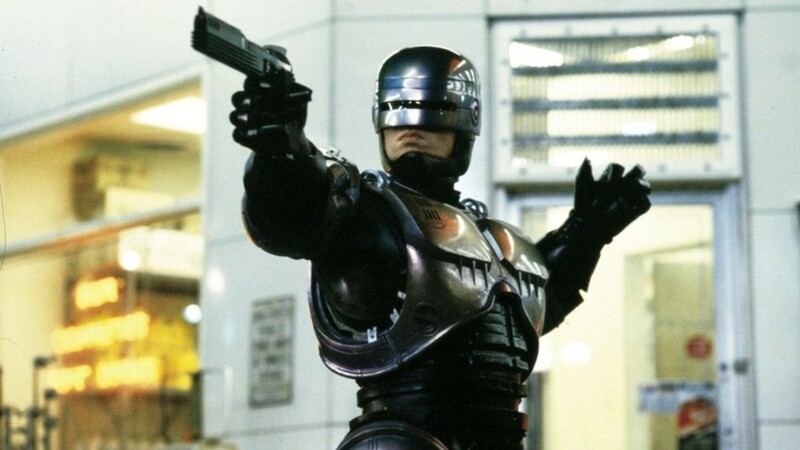 Robocop cleverly packages ideas about class warfare, corporate politics, capitalism, the drug war, and the struggle to find humanity into a story that, in order to be successful, didn’t really need to be anything more than a tale of a robot man with gun legs. And with real-life Detroit (among other formerly prosperous cities) starting to look more and more like that which is depicted in Robocop, while even the most privileged of us are still seeking answers for a wealth of societal ills, this decades old film is increasingly relevant. I’d buy that for a dollar! Also, Nancy Allen is my favorite. I hate it when people say the only reason someone doesn’t like a movie was because they “didn’t understand it”, but in the case of Blue Velvet, I think it applies. David Lynch has classically obsessed over the idea that there’s a world of sin and debauchery hiding behind the white picket fence, and while many other filmmakers have tried, no one has made the concept more hypnotic, terrifying, and funny. In a world where we increasingly put our personal lives out into the world for public viewing a story like this seems barely believable … and then I watch the news. 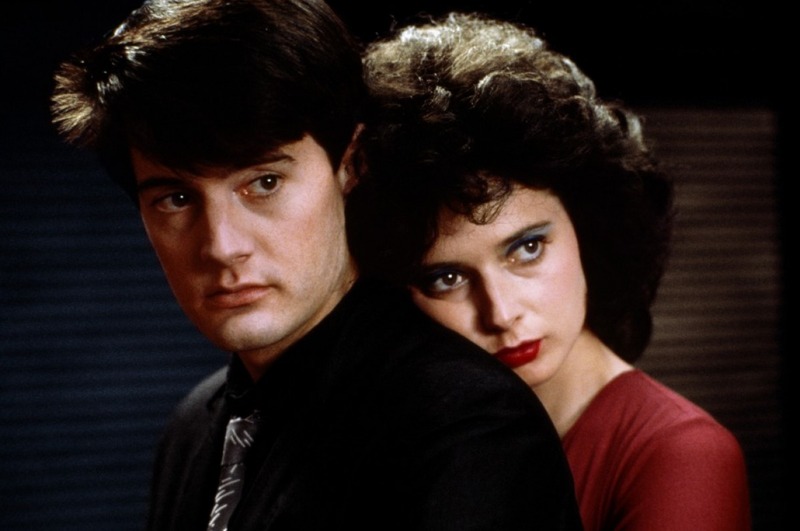 Blue Velvet is the perfect combination of style, substance, and entertainment. Pabst. Blue. Ribbon! I only just saw this movie last year, and I’ve watched it 5 times since. How is it possible to wipe the grittiness away from a Western and still end up with one of he best Westerns in existence? It’s not possible, yet it happened just this once. This is the type of movie that defies the dreaded remake. It is entirely of its time, yet it gets more enjoyable as time passes. 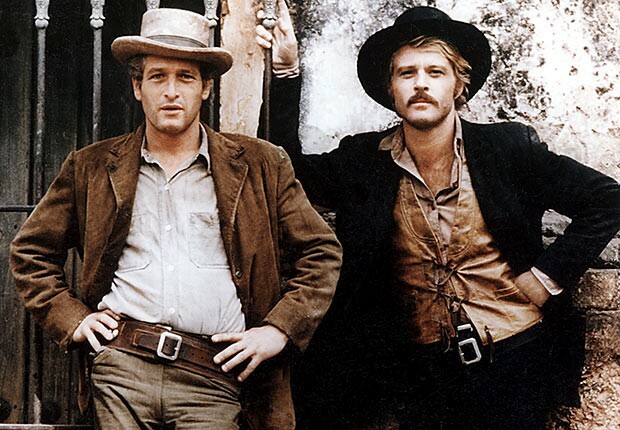 It’s the ultimate buddy comedy, the quintessential American western, and a wonderful portrait of what Hollywood used to be. And it takes an ending that any other film would have played for tragedy and makes it fun. Who ARE those guys? As hard as he tried to adapt Red Alert! into a thrilling drama, the script just kept evoking laughter, and Stanley Kubrick decided to run with it. In doing so, he created one of the most hilarious films in cinema history. 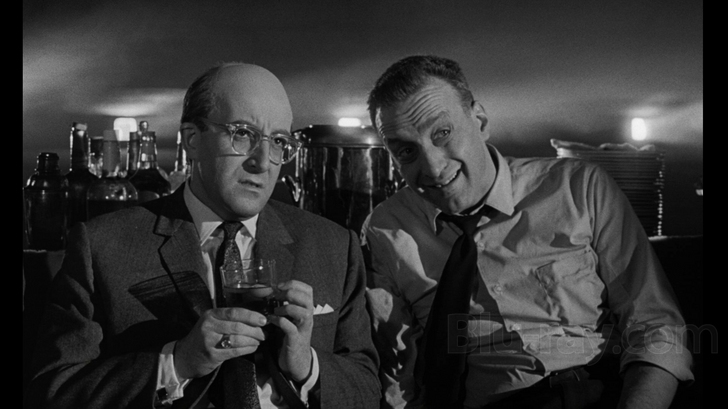 Peter Sellers plays a triumvirate of ridiculous characters to perfection, while George C. Scott chews scenery beautifully without even knowing about it (Kubrick famously used his ‘go big’ rehearsal takes without telling Scott – who refused to work with the director ever again). Every time I revisit this movie, I find something new and relevant. Last year, at a time where society was questioning the culture of machismo, the takeaway for me was seeing that General Ripper’s attack is because he’s impotent and can’t accept it. This year, at a time where comedians can barely think without being criticized by hackivists, the takeaway was how effectively such an overtly silly comedy can speak on something as awful as a nuclear apocalypse. Both comedy and film are wonderful tools to make a statement, and Dr. Strangelove is exhibit A in why we should protect both. Gentleman! You can’t fight in here. This is the War Room! 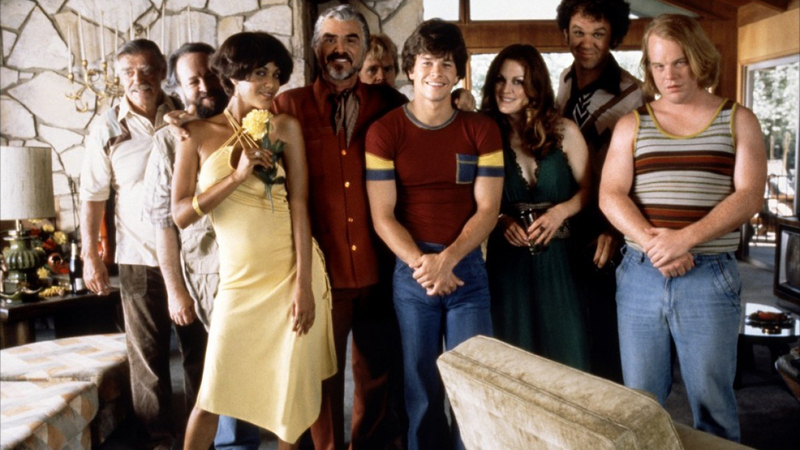 As much a story about fame as it is a history lesson on film, Boogie Nights is my all-time favorite movie. Every time I watch it I’m reminded that PT Anderson is the best filmmaker working today, and he made this magnum opus at the tender age of 25. It’s just insane. He’s the first director to coax an incredible performance out of Mark Wahlberg, he wrote and directed Burt Reynolds to an Oscar nomination, and he mastered the long tracking shot AT TWENTY FIVE. When I was 25, I worked at a Chili’s. Boogie Nights introduced me to John C. Reilly, Don Cheadle, William H. Macy, Ricky Jay, Julianne Moore, Luis Guzman, Thomas Jane and Phillip Seymour Hoffman – you know, the best people. The soundtrack is groovy, the story is engaging (3 hours never flew by so quickly), and the tone is a deft circus of shifting feelings, going from laugh out loud hilarious to murderously tragic and back again in a split second. Diggler’s first shoot. Buck Swope in the restaurant robbery. The Colonel explaining his fetish to Horner from behind prison glass. That long shot of Diggler slowly losing his mind while Rahad Jackson rocks out to Night Ranger. Boogie Nights, to me, is why movies exist. You’ve got the touch. You’ve got the pow-errrrrrr. YEAH! I could go on forever about why Boogie Nights is the best, but who has the time? I’ve got movies to watch. Dan Scully is a film buff and humorist living in a tiny apartment in Philadelphia. He hosts the podcast I Like to Movie Movie and is the proud father to twin cactuses named Riggs & Murtaugh. Also, he doesn’t really mind when Batman kills people. Follow him on Twitter and Letterboxd.